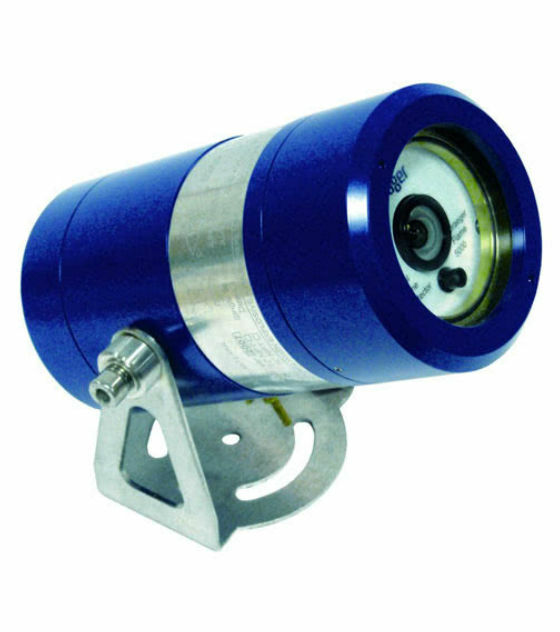 The Drager Flame 5000 is an imaging based explosion proof flame detector. This visual flame detection system uses digital image processing and advanced algorithms to process and interpret flame characteristics. The unique software algorithm of the Drager Flame 5000 is capable of discriminating between genuine fire conditions and other radiant sources that may cause conventional detectors to become desensitized or produce unwanted alarms. The detector is immune to common sources of unwanted alarms such as welding work, hot CO2 emissions and flare reflections. This makes it to a great partner on your oil rig or industry plant. 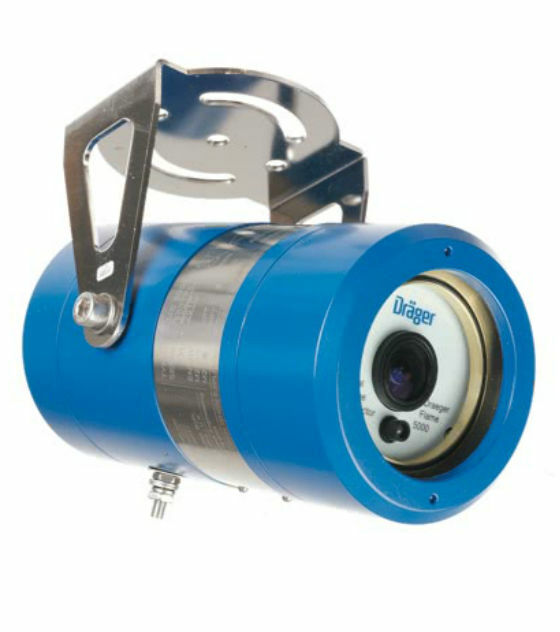 The Drager Flame 5000 can detect n-heptane fires of 0.1 m2 (1 ft²) or greater at a distance of 44 m (144 ft) within a 90° horizontal and 65° vertical field of view. The detector's field of view is a rectangular pyramid shape. This gives it one of the greatest standard coverage area and range of any flame detector currently available. The Drager Flame 5000 operates as a stand-alone unit to transmit live video recordings or can be connected to a control system or a fire panel to provide fault and fire signalling. This is achieved using a 0 to 20 mA signal or relay outputs. An integrated memory card enables the detector to record videos before and after alarm events. Depending on the environmental conditions you can choose between an aluminium or a stainless steel housing. Live video provides instant visual verification of a fire alarm without the operator having to enter a dangerous area. This reduces the risk of injury and improves response time. An optical verification facility checks the window for contamination and ensures its field of view is not compromised by obstructions placed immediately in front of the detector. The Drager FS-5000 flame simulator tests Drager Flame Detectors at distances up to eight metres (22 ft). With reduced need for scaffold or ladders to access the detector, maintenance costs can be decreased. The detector is very easy to install using a mounting bracket of stainless steel. The swiveling mounting bracket ensures that the device is optimally aimed towards potential sources of fire. The device status is displayed to nearby workers by tri-coloured LED light.